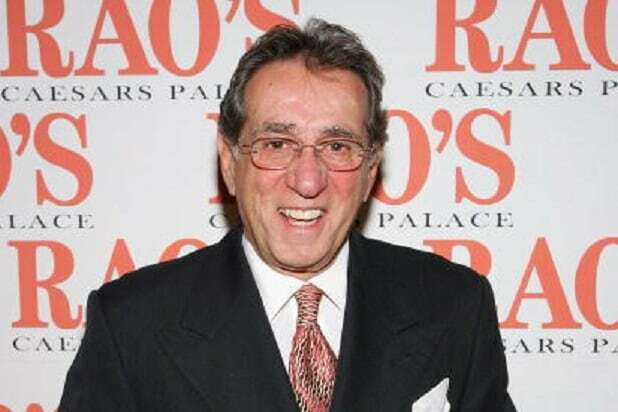 Frank Pellegrino, who played FBI bureau chief Frank Cubitoso on “The Sopranos,” died Tuesday after a battle with lung cancer, People reported. He was 72. Pellegrino, who in addition to his acting career was co-owner of the New York restaurant Rao’s, had been battling lung cancer since last year. Dietl added that Pellegrino died at 1:45 p.m. on Tuesday at Memorial Sloan Kettering Hospital. Pellegrino’s other credits included the 1990 Martin Scorsese film “Goodfellas,” as well as “Law & Order” and “Mickey Blue Eyes.” His last role was in the television series “Odd Man Out” in a 2015 episode, according to his IMDb page. The East Harlem restaurant Rao’s, which was founded in 1896, has a reputation as a haunt for celebrities including Scorsese and Jay Z.
Dietl noted that, despite his cancer treatments, he would still come into the restaurant.